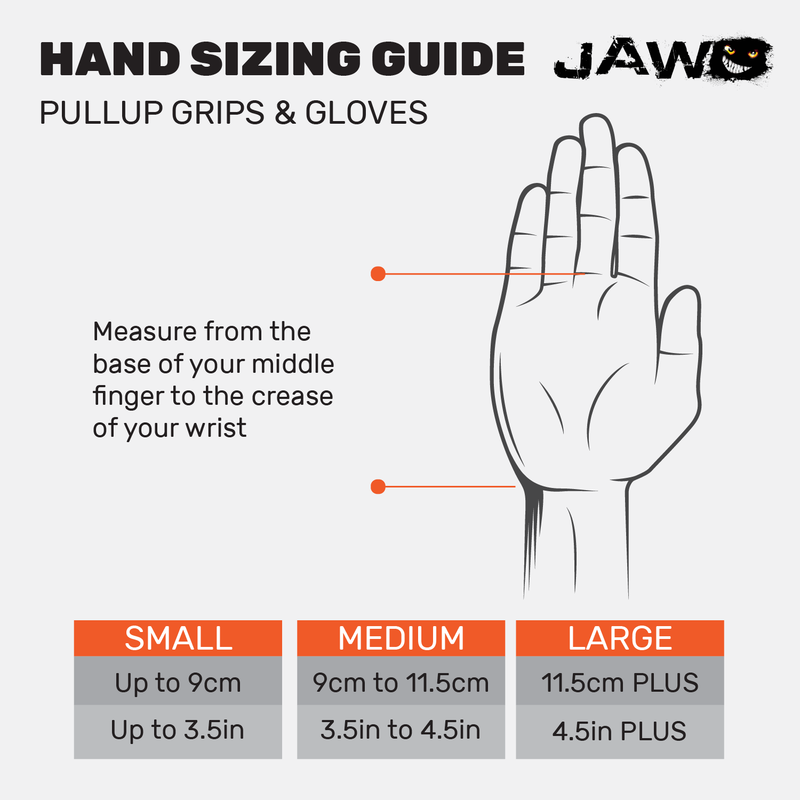 The JAW Three is the perfect go between Pullup Grip and Glove. The Three came about through a customers suggestion that the Pullup Grip was perfect it just needed to be bigger!! They are comfy and easy to wear. I absolutely love them and recommend them.